Home Business How Important Are Reviews? One of the most important yet often neglected facets of digital marketing is gathering great reviews from your customers. While having a strong showing on the various review platforms may not seem like a big deal, allowing actual customers to share their experiences with your business on an open forum can help draw in potential customers that may be on the fence. 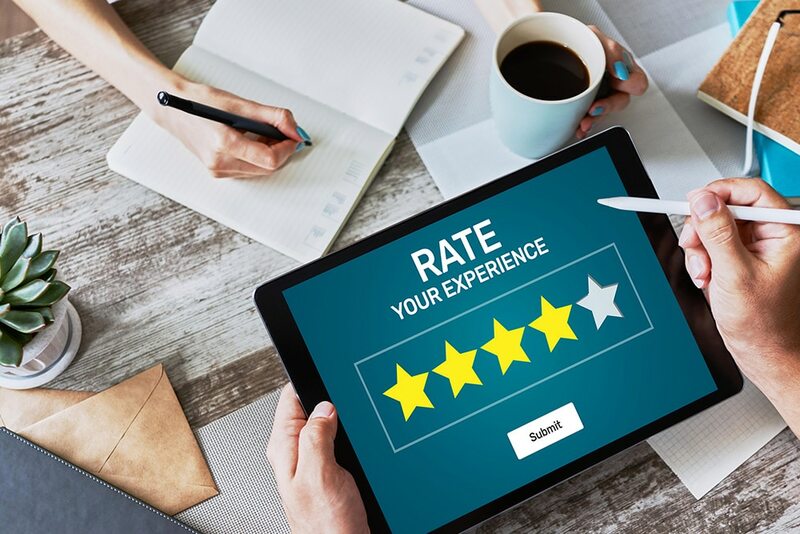 In this article, we will examine how important online reviews are for your business and provide some easy ways to obtain them. Why Are Reviews Important for Businesses? With the wealth of information available on the Internet, it is not uncommon for online shoppers to read product reviews from various online sources before finally investing in a particular business. Not only does getting great reviews help develop a firm foundation for what your customers should expect, it further expands your business’ digital footprint. As you can expect, this makes reviews incredibly valuable for businesses that are trying to garner more business and improve their reach online. The average consumer reads 10 reviews before trusting a local business. 86% of all consumers research reviews for local businesses. 57% of surveyed consumers will only invest in businesses that are rated 4 or more stars. 91% of consumers aged 18-34 trust a review from a stranger as much as they would a friend or family members. 89% of consumers actively review a business’ response to reviews. As you can see, there are many great benefits to ensuring your business is represented fairly and accurately in online reviews. It is important for businesses to strive to provide the best service possible to avoid any setbacks that are associated with negative reviews. While it may seem challenging to encourage your customers to review your business, there are several key strategies that can help you begin to accumulate positive reviews quickly as long as they are warranted. How Can You Encourage Reviews? It isn’t uncommon for people to be vocal about their beliefs, hobbies or interests on their personal social media accounts. Fortunately, this makes it easy for businesses to leverage social media platforms to ask for open customer feedback. To accommodate this, most modern social media platforms have a built-in rating system that can easily be used to make your business shine. Did you know that 1 out of every 3 customers you ask to leave a review for your business will happily provide one if the process is simple and quick? One of the most common reasons businesses don’t have reviews online is because they are afraid to ask for them. Take the time to incorporate this into your customer service routine and you will be gathering reviews in no time! With the advancements made in email marketing, businesses are able to not only segment customers but also determine the best candidates to ensure they receive positive reviews online. If you are unfamiliar with email marketing or haven’t started building your own email lists, there has never been a better time. Once you have a list compiled, send out a request that links to your chosen review platform to the best candidates. After years of helping small businesses recover from a Website Design Specialist who “fell off the planet” or those in dire need of Reputation Management as a result of hiring a not so well trained Social Media Management Expert, I realized how strong the need is for marketing expertise at the small business level. By simply having access to someone who actually understands how digital marketing works, businesses can leverage things like Search Engine Optimization or Social Media Marketing to increase their presence, service area and most importantly bottom line. I offer my nearly 20 years of experience managing marketing campaigns for businesses all over the world to you as your Virtual CMO. As a vCMO, and by working with several companies on a part time basis, I am able to provide you years of experience and education for hundreds of dollars a month as opposed to the hundreds of thousands of dollars a year a full time candidate would require. I look forward to learning more about your business and its journey in your free initial consultation. Facebook, Instagram and WhatsApp Go Down and then top executives go away! What is the Best Image Format for Your Website? Is Google My Business Spam Out of Control?